Do you really need an eye cream? When it comes to skincare products, few are as divisive as the eye cream. Some swear by them, some have never tried them – so, do you really need one? So, why do we need a different product for the skin around our eyes? Simply put, it’s all to do with the structure of the skin and the texture of your products. Formulations for the face can be too heavy or thick for the delicate eye area, which can lead to puffiness. What’s more, they can contain a high concentration of active ingredients which, while ideal for the face, can cause irritation around the eyes. At what age should I start using eye cream? Today, everyone over the age of 20 should consider an eye cream. The reasons for this are manifold – on top of everyday squinting and smiling, our complexions now have to contend with a host of modern-day external aggressors – think environmental pollution, digital screen time and broken sleep – which can heighten the appearance of various eye concerns. What can an eye cream really do? While there are undoubtedly benefits to investing in an eye cream, it’s also important to be realistic about what these products can and cannot do. The key is to differentiate between genetic concerns and those created by the environment. For example, certain eye shapes – round and hooded in particular – can naturally appear more hollow around the eye contour with age. This can lead to dark shadows and ‘eye bags’ looking magnified. While you can’t eliminate a genetically hollow eye structure with skincare, you can brighten up shadows exaggerated by environmental factors, such as lack of sleep and those Friday-night indulgences. ELEMIS Pro-Collagen Hydra-Gel Eye Masks are your new secret weapon – these hydration superheroes leave eye contours looking visibly smoother and intensely moisturised. On the other hand, a key eye issue that good skincare certainly can help combat is the development of the appearance of fine lines. ELEMIS Pro-Collagen Advanced Eye Treatment is formulated with our groundbreaking Padina Pavonica extract – an algae with remarkable abilities to increase moisture retention, ensuring those fine lines are plumped and smoothed It’s supremely light in texture – think more of a weightless gel than a serum – and has natural humectants to bump up hydration levels without overloading the skin. What’s more, the featherweight texture sits perfectly beneath makeup, meaning you can layer a concealer over the top for double-duty results. How should I apply eye cream? When it comes to eye-product application, there’s only one golden rule – go gently. As this skin is up to 10x thinner that the rest of the face, a light touch is pivotal – you don’t want to give the ageing process a helping hand! No matter the texture, tap the product on using your ring finger, working from the outer to the inner corner without dragging. Avoid overloading – a pea-sized amount is perfect – and always follow the eye contour bone, so the product doesn’t slip too close to the lash line. Is one eye product enough? Thanks to the incredible scientific advances of recent years, it’s likely your skincare routine now resembles something from a chemistry lab. From serums to treatments, creams to gels, we’ve all added more than a couple of steps to our regimes. So, when it comes to eye care, is one product enough? Generally speaking, one great eye product, perfectly tailored to your skin type and eye shape, is enough for day and night care. However, there are some clever moves you can make to amp up the benefits for a special event or tiring week. 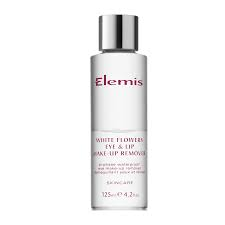 For example, slipping a lightweight gel formula – such as ELEMIS Pro-Collagen Advanced Eye Treatment – beneath a cream will help seal in the actives, ensuring they work double duty on those shadows and fine lines. And for a serious pamper session, try patting on your eye treatment of choice, then slipping a pair of Pro-Collagen Hydra Gel Eye Masks over the top.